Most people have heard of Dungeons & Dragons, the game where players take on the roles of fantasy characters (elves, dwarfs, knights, rogues, etc) and using pen, paper and dice play out adventures fighting dragons, orcs, goblins and any evils their “dungeon master” can think of. But what happens when pen and paper doesn’t quite fill that void anymore? What if you want to dress up in costume and actually hit people using foam weapons? That’s when you enter the world of LARPing (Live Action Role Playing). Lloyd and his two friends, Patrick and Oswald, are your regular slackers. Leaving projects to the last minute is standard fare. When they leave their Medieval Literature project to the day before it’s due only to get sucked into playing a video game, eventually falling asleep and having to improvise their project come the morning, they end up getting a failing grade and risk loosing their financial aid. Their only hope? Beg and plead with their professor to give them a redo. Their devious teacher Derek upon hearing their “we’ll do anything” plea decides that the trio of less than stellar students should join his LARPing league. Along with the guidance of the wise wizard (game store manager) and the addition of an elven ranger (love interest and overzealous self protection instructor) the group sets out to defeat the dark lord Derek. Lloyd the Conqueror is a very low budget film. It might even be considered a micro budget film. Everything from locations, to actors, to costumes shows a lack of funds. This is especially apparent when you consider the costumes worn by some of the extras (played by actual LARPers) were a lot better than those worn by the main cast. Much of the humour in this film revolves around making fun of the LARPing subculture and those that are involved. 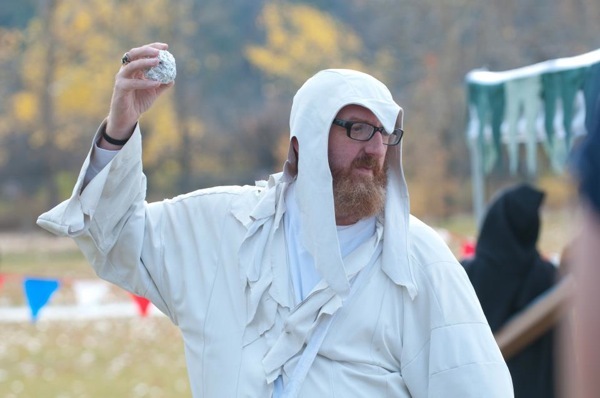 I’m not sure if actual LARPers might take offense to being made fun of, but I would hope that they would be able to laugh with the film as much as I did. If you can find it within yourself to forgive the shortcomings of the film you’ll find a very entertaining and extremely humourous movie. The additions of funny men Brian Posehn and Mike Smith not only adds a little star power to the film but their comedic experience has clearly benefited the entire production. One aspect about Lloyd the Conqueror that I couldn’t help but notice is that because the scope of the project was so small, it seemed out of place with the feature film world. I continue to think that if the filmmakers involved had gone the route of a web series a la The Guild, Pretty in Geek or Legend of Neil, it would have garnered a bigger and better response, likely been seen by more people, and in the end, managed to find its proper audience. In its current form, I’m not sure Lloyd the Conqueror will survive. 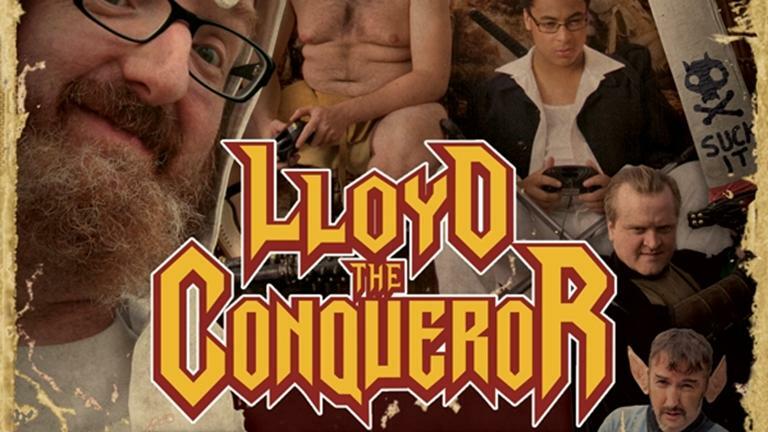 A film like Lloyd the Conqueror is not an easy sell to general audiences. LARPing is a very small demographic and even if you open up the field to fans of similar fare (RPG, fantasy, gaming), Lloyd the Conqueror would on the surface, seem to have at most a Comic-Con level fan base. But, while Lloyd may not be accessible for general audiences, this often loyal fan base should easily get a laugh or two out of this film… if they are ever able to see it.